Maryland residents that seek help for alcohol addiction can access treatment services and lead alcohol-free lives again. Call these alcohol helplines free to get started. Delphi Health Group offers support and information to individuals and families struggling with alcohol addiction with round-the-clock alcohol and drug counseling and treatment advice. Call the toll-free and confidential alcohol helpline at (866)-520-2708 to get access to these services. The treatment options offered by the representatives are usually covered by insurance. NCADD-MD Hopeline offers treatment counseling services to Maryland residents seeking treatment for alcohol addiction and substance abuse disorders. The alcohol abuse hotline connects callers to the best programs in the state. Get in touch with this alcohol help hotline at (410) 625-6482. 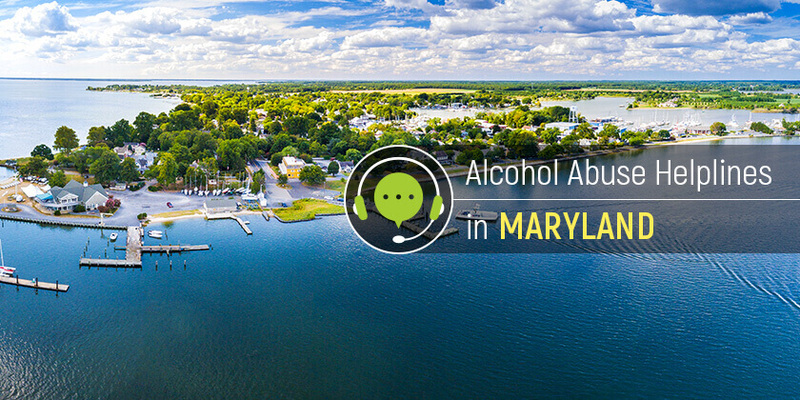 The Behavioral Health Administration of the Maryland Department of Health provides information and referral services to alcohol treatment and rehabilitation facilities in the state. Callers can connect with the division by calling the information helpline at 1-877-463-3464. Hope is a dial away for individuals and families in Maryland struggling with alcohol abuse. Call these alcohol treatment hotlines to get help today.